Florida’s latest recount is another joke to the nation. Despite lawsuits and bold statements, the machine recount changed very little in Florida’s statewide results. However, Senator Bill Nelson is still clinging on to some hope as his race against Governor Rick Scott, who has already self-assumed his new title of Senator, and the Agriculture Commissioner race are concluding manual recounts this weekend. The unofficial results of the machine recount showed Democrat Andrew Gillum only had a net gain of 1 vote in his race against Republican Ron DeSantis. DeSantis has claimed victory and this race is over – Gillum even conceded for the second time after taking back his first concession from Election night. The recounts are seeming to backfire against the Democrats and their loud demands. 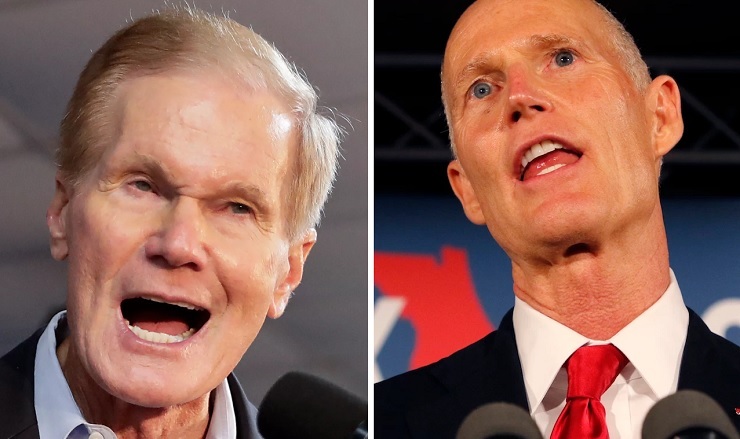 In the Senate race, Rick Scott’s lead grew by 41 some votes. The one bright spot statewide for the Democrats is Nikki Fried, the incoming Agriculture Commissioner. She is set to be the future of the Florida Democratic Party, seeming to be the only Democratic candidate who could pull off a statewide victory in the time of Trump. Her lead is more than 5,300 votes over Republican Matt Caldwell. Unless some big swings in the numbers come through, expect Florida’s results to stay how they were announced on Election night. After all, at this point, it doesn’t even look like Brenda Snipes in Broward County could find enough more votes to save Nelson after Gillum’s loss.